Aimed at helping individuals and businesses across the continent take advantage of technology platforms like YouTube and tools like video, storytelling to expand their market, build personal brands or create awareness about a special course. 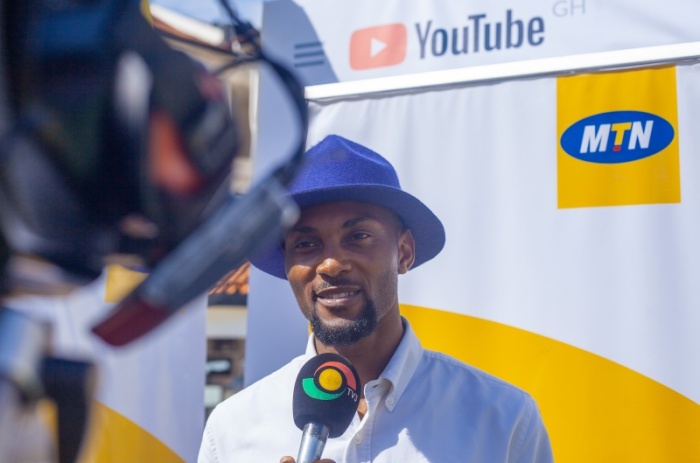 Guud Kelly has embarked on several campaigns especially in Ghana speaking to students and businesses on the importance of creating original video content and using YouTube to better enhance their businesses. The Business of YouTube Masterclass in Abuja, Nigeria on April 30. Gudd Kelly is currently an advocate for peer generated content and the convener of the YouTube Ghana fraternity where he’s a strong thought leader on the evolving content creation space in Ghana and advocating the creation of content and encouraging young people to start creating original content to have a voice on Issues such as Global Warming, Female Genital Mutilation, Child labor, Depression, Cyber Bullying, Girl Child Education and a host of other themes for YouTube and other platforms, whiles highlighting the opportunities. By serving as a strategist and expert on YouTube videos, channels, and fandom and tracks the latest trends. He does this through workshops, Master classes, events, Creator clubs in Universities around the country and other scaled initiatives. critically acclaimed fi lm “Sinking Sands” which was nominated at the Ghana Movie Awards and The Africa Movie Academy Awards. In addition, it was selected among films for the 2010 Cannes Film festival in France. In 2013 he worked on another short film “Hospitals, Kordji” which focused on maternal mortality among African mothers and was also selected for screening at the Cannes film festival. production by creating short films about designers, fashion show highlights, mini documentaries, fashion films and Interviews for the YouTube platform. They later expanded into holding fashion exhibitions at the Ghana international trade fair which brought together about 5,000 participants over a 3-day period. They traveled al l over Africa to document and curate African stories especially in Lagos where they have become a house hold name under the Fashionistagh brand. Guud Kelly creates al l types of content, including TV, editorial, short films, long form broadcast programming, Drama, branded digital videos, social media content, as well as material for offline, experiential and ambient channels. He helps provide strategic advice on content provision for online channels and applications, and how best to use budget and opportunity to create effective integrated multi-channel , multi-media video and audio. As an integrated Creative Director, he has worked on everything from traditional TV; print, OOH, digital, magazines, and Brand experiences, reality TV shows, branded entertainment and think tank type projects. Also an event producer and a bigger picture seer, He’s the person you can cal l a fixer. their market place. Whiles harnessing the power of platforms like YouTube with human interest stories. Guud Kelly has many loves, especially for food, Travel ing and Architecture. He has a start up Interior design studio which has been designing homes & offices in Accra since 2015 for the likes of Joselyn Dumas, Jackie Appiah, Glitz Africa, Kempinsky Hotel, just to name a few.